Delivery in approx: If you order by noon your photo blocks can be collected from store in the afternoon! The same day service includes 6x4", 8x6" and 10x8" photoblocks, orders shipped to home take approximately 7 days. Tired of having photos in frames and want something different? Why not create a photo that stands out with our personalised photo block. 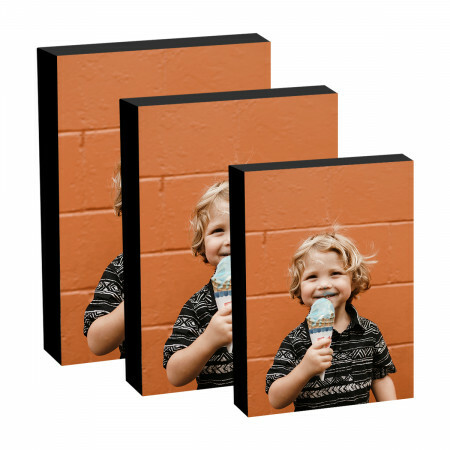 These free standing photo frames look great at home or on your desk. Simply upload a photo from your phone or computer to start making one today.